Brussels, 20 April – The Toyota Prius​ is the first car to have undergone Euro NCAP’s newest test of autonomous emergency braking (AEB) technology for pedestrians. 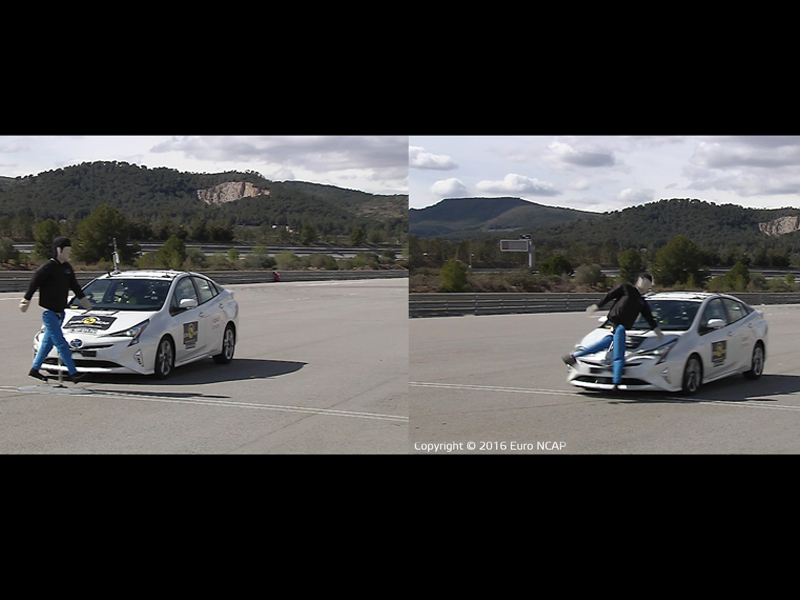 By including this test as part of the safety rating, Euro NCAP takes the lead world-wide in encouraging advanced crash avoidance technology for all cars. Also released today is the Suzuki Baleno​ with the first dual rating. “The inclusion of AEB Pedestrian in the rating is a key milestone in the development of automotive safety that will help the proliferation of the crash avoidance technology into all segments of the market. At the same time, to provide accurate and clear information to consumers about the latest systems and what benefit they might bring, is becoming more challenging. The dual rating will simplify the choice for the safest car”, says Dr Michiel van Ratingen, Euro NCAP Secretary General. Watch​ Dr van Ratingen explain how the new dual rating works, and click here​ to see our animation. The detailed results, pictures and videos of the released cars are available on our website​ and new Media Center​​ for journalists. For media information, please contact Marie Brasseur, Euro NCAP Communications Manager at Marie_Brasseur@euroncap.com.